Design, elegant, minimalist, romantic or rigorous kitchens, with a contemporary or traditional style, from the most refined to the simplest. 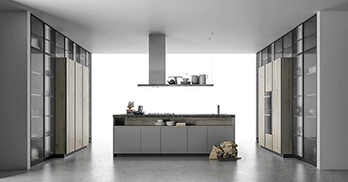 All Doimo Cucine collections are modular and designed to ensure the maximum freedom of layout, from linear to corner solutions, with a central island, peninsula or C shape. Everything is made easy by a selection of wall units, tall cabinets and base units with a vast array of pull-out drawer accessories. 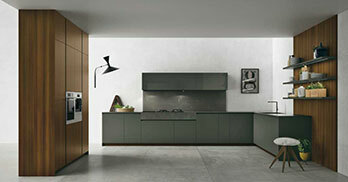 This kitchen features concealed frames in 100% recyclable aluminium. The exterior faces can be finished to almost any request. 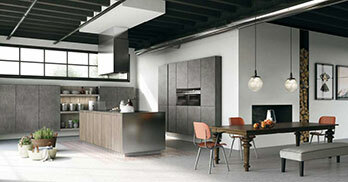 The result is a modular kitchen with panels in glass, wood or a favourite material. 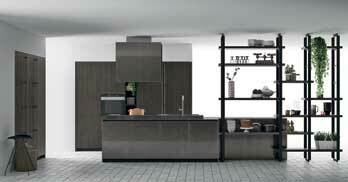 Doimo Cucine’s SoHo collection offers a modern kitchen with an industrial look. It can be a bit dark or coloured by contaminations, even becoming a bit conservative. Each version proposes a relaxed approach to living. 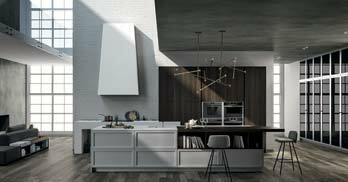 Doimo Cucine proposes a contemporary take on a classical kitchen: framed fronts, rich details, emphatic cornices, original decorations and sophisticated materials. All available in two versions: Contemporary and Luxury. Style is a kitchen system that can be personalised by freely composing its modern and versatile collection of modular elements. Style offers a range of different finishes, from innovative Ecomalta® to hard wearing melamines to a colourful palette of lacquered finishes or warm wood veneers. 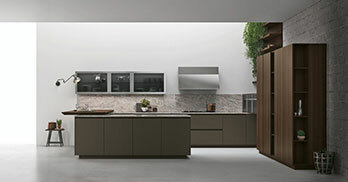 This kitchen is a marriage of natural and technical materials: thermo-treated acacia, natural flamed elm, thermo-treated oak and Fenix NTM® define a sophisticated kitchen with linear and clean lines. Simple and affordable. 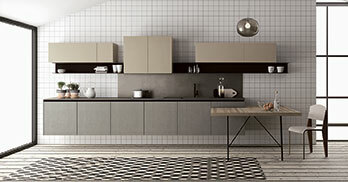 Easy is a quality modular kitchen, with wall units, a vast choice of materials, including polymers, and a touch of sparkle all its own thanks to the use of metal-effect lacquers. This model is anti-conformist down to the core and inspired by the Sixties with exclusive graphic textures. 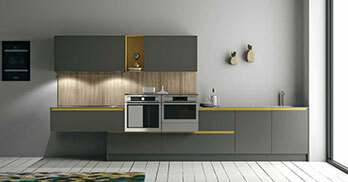 Fjord is a modern modular kitchen with a very thin front panel, only 1.4 cm, and a predilection for colour. Cromatika is a modular kitchen system, easily adaptable thanks to modules of different depths, suspended elements and the possibility to combine 10 different colours. Even the most simple linear or corner kitchen becomes something special.